Moraine Park Technical College is a community college located in Fond du Lac, WI. This photo was sent in by AS. He writes: "Moraine Park Technical College, 235 N National Ave, Fond du Lac, WI 54935, is one of the region's top technical/community colleges. 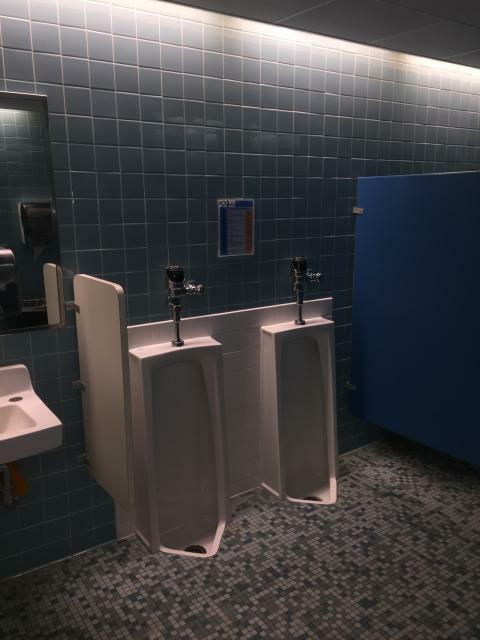 "These urinals are found on the main level between buildings O and BCE (don't ask me to explain their building labeling system)."